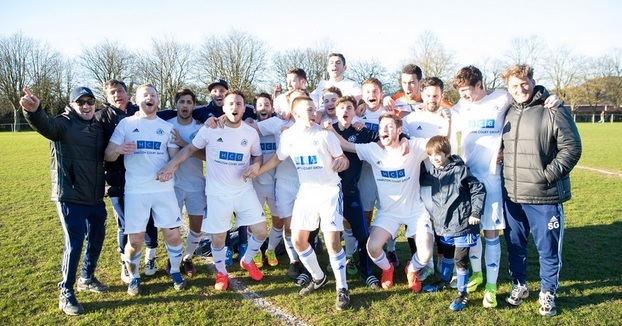 Rowley Lane side secure Herts Senior League Premier title after 5-0 win at Hatfield Social. 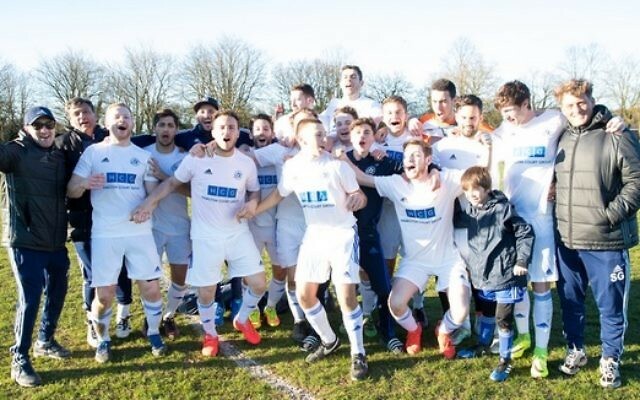 London Lions clinched an inevitable league title – the second Herts Senior County League Premier championship in the club’s history – as they made it a league and cup double within the space of four days. This young team have dominated the league from the first game of the season, and while it they made it look easy at times, this is a title the club originally took 15 years to win before claiming it for the first time in 2010. The margin of victory shows a team with much more to give and the hope is now with the outstanding facilities, a dynamic group of players, and a management team whose rebuilding over the last two years has been vindicated, there is more to come from this side. Today’s game was merely the final flourish to the season’s competitive league games, and the result probably doesn’t do relegation threatened Hatfield justice as they hung in for long periods, but Lions have been irresistible all season. It took Lions 26 minutes to take the lead when Max Kyte was fouled in the box. The big striker dusted himself off despite sustaining a hand injury which was later revealed to be a break. His failed from his first spot kick, only for the referee to give him a reprieve and he confidently scored the re-take. As the game drifted toward the interval, Lions showed their class to double the lead. The in-form Austin Lipman found Adam Burchell and the pacy winger chipped the ‘keeper expertly. With Rocky Spitzer driving the team forward with a great display in midfield, Lions had to work for further goals – and waited until 14 minutes from the end when Hatfield’s resistance crumbled. It was worth the wait as Charlie Rubin scored the goal of the day – firing in directly from a free kick. Late on Kyte added a further two to complete his hat-trick, add a sheen to the score-line, and see Lions sprint over the title finish line. The final positive was the return to action of Charlie Kasler, who made a late cameo from the bench. Speaking afterwards, manager Andy Landesberg praised his special squad, saying:The boys have been superb throughout and it’s a special achievement. They have learnt to play in different ways, win different types of games, in all kinds of conditions and have rarely let their standards slip.